Very soon the biggest travel and onboard hospitality event, the World Travel Catering and Onboard Services Expo, will take place in Hamburg, Germany. Mark your calendars for April 14th! This year, the LSG Sky Chefs team is excited to unveil not only a brand new booth concept, but a whole new way of thinking. Apart from offering tasty meals, inspiring equipment, smart logistics and innovative retail concepts, LSG Sky Chefs will uncover valuable consumer insight on global food trends and lifestyles. As the trends and innovations expert at LSG Sky Chefs, I conducted a study on gastronomic concepts worldwide to find out about the latest consumer expectations. Social and cultural factors make people around the world different. But some basic needs and feelings are truly global. Those can be based on people’s wishes for tradition, trust, emotional security, sustainability or for difference and flexibility. These styles reflect distinctive lifestyles and all have one thing in common: they are driven by worldwide developments – the global megatrends. So what does this mean for the airlines and for us as their in-flight services provider? 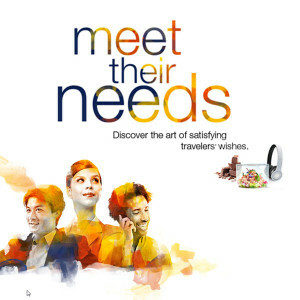 Passengers want to customize their travel experience based on their personal lifestyle. That’s why it is so important to understand what individualization means and how to personalize new products and services. At this year’s WTCE, visitors will enter a vibrant world of diverse consumer habits, and will have the chance to experience what “Classic”, “Natural & Local” and “Inspirational” lifestyles are all about. We bring each of these styles to life, having developed distinct personas portraying who these people would be in reality, what drives their behavior, and what their expectations are. The stories of three such consumers are already on our new WTCE Microsite. Come and explore valuable consumer insight on a more personal level, and stay tuned for another sneak peek into the three consumer styles: classic, natural & local and inspirational!